Egypt has begun flooding Hamas terror tunnels beneath the Egypt-Gaza Rafah border crossing Friday, in an apparent attempt to prevent terrorist infiltrations. According to Dutch news agency DPA, Egypt pumped water from the Mediterranean Sea into the tunnels, making good on threats it made to Hamas last month. Egyptian officials apparently intend to turn the tunnels, and the border region, into a series of fish farms. As part of Egypt’s ongoing crackdown on terrorism, Egypt is establishing a buffer zone along the border with Gaza. The buffer zone was initially planned to be 500 meters wide, but was later expanded by another 500 meters. 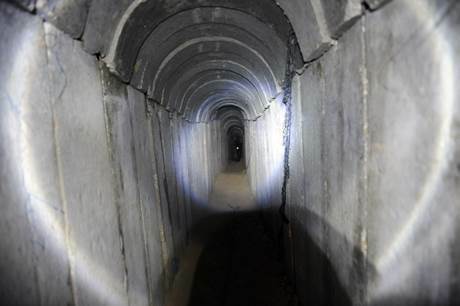 In addition, Egypt has destroyed hundreds of tunnels used by terrorists to smuggle weapons between Egypt and Gaza. Rafah, in particular, is Gaza’s only gateway to the outside world, and Egypt has kept it mostly closed since the Hamas terrorist group seized control of the area in 2007.